Participants from across the region who have signed up to the Great Bristol Half Marathon are just days away from tackling their 13.1 mile challenge. The event is in its 30th staging and was first held back in 1989. 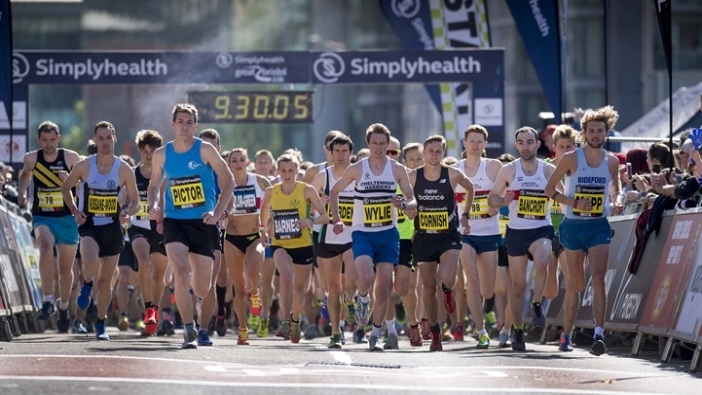 It has been part of the Simplyhealth Great Run Series since 2016 and has become a long-held tradition in Britain's annual running calendar, with 10,000 people taking part. Here's everything to expect from event day on Sunday 23 September, from the course, entertainment and cheering points, to post-event rewards for runners! 10,000 runners will start their half marathon challenge on Anchor Road near Millennium Square, close to the Jacob's Wells roundabout, before heading out along the Portway under the Clifton Suspension Bridge. Participants will then make their way along the Portway past Sea Mills up to the edge of Shirehampton Golf Course, before turning around and heading back towards the city centre under the bridge once more. The final stretch of the race runs through the centre via St Augustine's Parade, leading up to the finish line on Anchor Road by Bristol Aquarium. With ten live music points on the course, you're sure to be motivated every step of the way around the 13.1 miles. The music on course includes a steel band, drumming bands, all the way through to a musical quartet. There'll also be two showers and four drinks stations, including a gel station from the event's energy partner Science in Sport. Anyone aiming to complete the half marathon in a specific time or who is looking for a personal best can also follow the Duracell pacers in each of the four waves, who are helping runners #runforlonger. There are 25 official charities from across the region and the UK who are involved in the Simplyhealth Great Bristol Half Marathon. In 2017, runners at the event raised approximately £1,800,000 for charitable causes. Eight of the charities, including Macmillan Cancer Support, Great Western Air Ambulance, the St Peter's Hospice and the RAF Benevolent Fund, will be based in the charity village in the south area of Millennium Square on event day to welcome their runners home. The event village is located in Millennium Square, which will be packed full of runners and a celebratory atmosphere is guaranteed. Nando's are on hand to offer samples of food and exclusive offers to all runners and spectators as well as Kellogg's who will be handing out samples for runners to refuel on. There'll also be activation from PureGym who offer their own smoothie bikes. Millennium Square is also home to a host of bars, restaurants and cafes so runners can meet up with friends and family to continue the post-run party. Once participants have crossed the finish line, they can head for the Simplyhealth Mass Stretch Zone to cool down with an expert stretching routine that will help limit muscle pain the next day. This is completely free to all runners who have taken part in the event. Also on site, a free massage at the Simplyhealth massage zone will help runners recover even faster. To skip the queues pre-book online.